The name "Silk Road" is symbolic. Since ancient times, the fame of Chinese silk spread across the continent, and many people wanted to buy this unique product. But the silk from China was not the only valuable commodity on the Silk Road. Were in great demand silverware from Iran, horses and wool carpets from Central Asia, spices and semi-precious stones from India, leather and fur from Europe. Caravan streams with outlandish goods moved mostly from the East to the West. It should be noted that great importance of the Silk Road is not only in the formation of trade relations between different countries and peoples, but also in the development of communications, technology improvement and spiritual exchange. Countries linked by the trade route, learned from each other skills of production of certain goods, got acquainted with new languages​​, cultures, and religions.The Great Silk Road was a system of caravan trade routes that ran through most part of Eurasia and connected countries of the West and the East. It existed for over seventeen centuries, from the 2nd century BC to the 15th century AD. It was really a tremendous way, in all its branches stretching for 7,000 kilometers and linking nations of the greatest civilizations of that epoch: China, India, Central Asia, the Middle East and Europe. 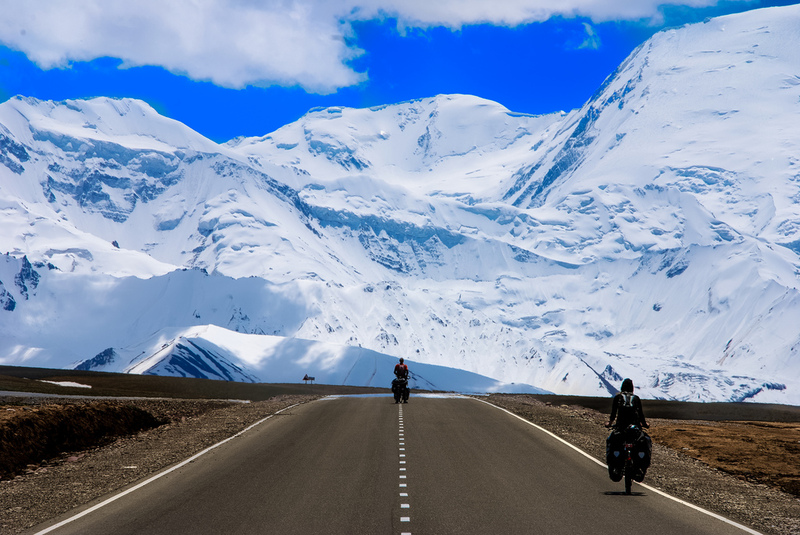 Kyrgyzstan, due to its location in the heart of Central Asia, always had the utmost importance on the Silk Road. Through its territory ran three branches of the trade route: the Northern branch, the Southern branch and the Ferghana branch. The Northern branch was on the shores of Lake Issyk-Kul, then through Boom gorge and Chui valley led to the territory of Kazakhstan and ran to Tashkent (Uzbekistan). The Southern branch passed through Irkeshtam pass, along Kyzyl-Suu river led to the Alay and the city of Osh, then through the territory of modern Dushanbe led to Uzbek cities Samarkand and Termez. 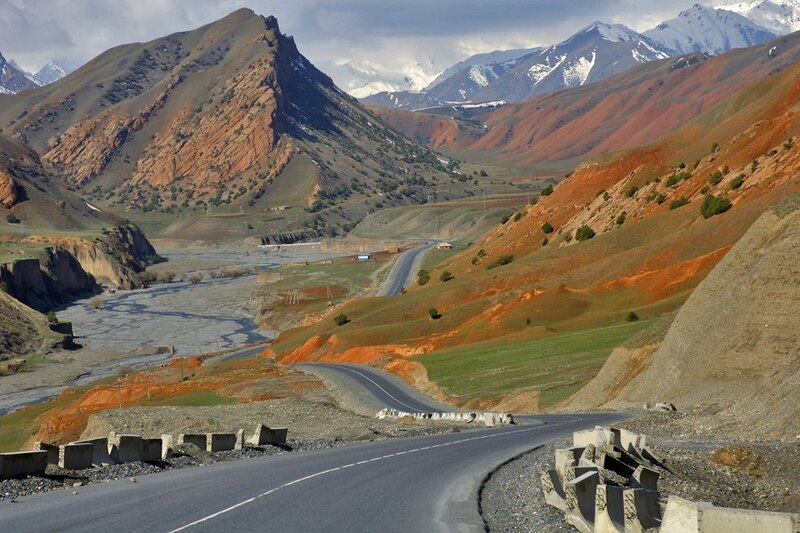 The Ferghana branch in Kyrgyzstan started with Torugart pass, and crossing the Central Tien-Shan passed through the cities of Uzgen and Osh, and then ran to Samarkand and Bukhara. These routes have remained unchanged for centuries, they passed through the cities and fortresses, where merchants could relax and exchange their goods and then lead their caravans of hundreds of camels on. Caravan routes often crossed, so travelers could move from one branch to another. The origin of many cities and historical monuments is closely connectedare with the Silk Road. Suyab (situated 6 km from the town of Tokmok), Balasagyn (Burana Tower), Navaket (the village Krasnaya Rechka) and Uzgen (Osh region) are only small parts of the famous trading towns of antiquity and the Middle Ages, which were located on the territory of Kyrgyzstan. Osh was one of the largest trading hubs in Central Asia, and it was of great importance for the development of socio-economic status of the region. The epoch of the Great Silk Road was the golden period in the development of cultural exchange for the peoples living on the territory of Kyrgyzstan. Caravans brought here a lot of new knowledge and technology from other countries, but at the same time they took with them important information about local settlements and their inhabitants, religion and traditions. Actually, in this way the history of the countries on the Silk Road was created. Although the Silk Road does not exist already for several centuries, the memory of it remains in the minds of people. This is an important page in their history, this is what helped in their development and integration with other nations. So now some attempts are made to recreate the Silk Road as a meaningful object of cultural heritage. Tourism along the Silk Road is a great opportunity to visit the places where once were rows of caravans with unique products, to learn about the culture and values ​​of the people, to see the buildings of the Middle Ages, as well as enjoy the unique mountain landscapes.